Mike Brown's Planets: Ground rules for debating the definiton of "planet"
Ground rules for debating the definiton of "planet"
Last week I argued that how you categorize things matters, but there is almost never only a single good way to make categories. In the case of the solar system, the debate has mostly been over whether to use a geological classification to distinguish planets from non-planets (if you’re big enough to be round you’re a planet [with caveats] and if you’re not you’re not) or to use a dynamical (or, as I prefer to call it, population) classification (if you’re big enough to be mostly solitary you’re a planet, if you’re part of a larger population you’re not). Much of the debate and complaint has been quibbling about the detailed wording of these classification systems. Precisely how round would you have to be? What about the fact that Neptune’s orbit is crossed by Pluto (and many other Kuiper belt objects)? Isn’t the wording of [either definition] somewhat flawed? T o which I simply want to say: any astronomer who claims that either of these classification schemes is inherently bad or makes no inherent sense needs to turn in the eyepiece to his telescope. In the face of many equally good classification schemes, how, then, is a scientist to decide where to put the word “planet”? No scientific solution exists, because the question is not a scientific one. One rational approach, it appears to me, would be to let an international body which officially sanctions the naming of things in space (also a very non-scientific endeavor) make the decision. The appropriate body would be the International Astronomical Union (IAU), and, in fact, that’s the body that voted to accept the dynamical/population definition mentioned above that leaves us with eight planets. I would also have supported a decision by the IAU that the hundreds of round things out there are planets (the geological definition). I have opinions, of course. I think that the dynamical definition does a more appropriate job of educating the public about the large important bodies in the solar system and their relationship to the vast populations of smaller bodies (the asteroids, the comets, the Kuiper belt objects). And I think that culturally a smaller number (eight) of mental waypoints is more helpful than a larger number (say, 100). So I would (and did) argue strongly against the geological definition. But I could have worked with it. Because the IAU did, in fact, vote, and we do, in fact, have the word “planet” assigned to the category that includes the largest eight bodies in the solar system, I generally consider the debate about Pluto (and about Eris) closed. I wish we could all move on to understand how these new discoveries past the edge of the planets are changing our view of what the solar system is all about. Discussing different possible ways to categorize bodies in the solar system is interesting. The geological and the dynamical/population categories get all of the attention, but there are many many other interesting ways of looking at the solar system. Scientific contribution welcome! Claiming that there are scientific reasons why any one of them deserves to be the category of “planet” should disqualify you from further discussion on the grounds that you are conflating the job of science and the job of culture. Proposing a classification system that is purported to be for scientific reasons but which is scientifically inconsistent (see original IAU proposal that gave 12 planets, as an example) should cause you to go back to school for remedial science training. Discussing the cultural (educational, emotional, etc.) pros and cons of the word “planet” being applied to different classification systems is perhaps the most important debate that needs to happen. Once the categories are defined, this debate is purely cultural; the scientists have made all of the scientific contributions they can at this point. They’re still allowed to speak (I guess….) but it is not clear whether their words should be afforded any more weight than someone else with intelligent comments to make. Discussing the larger question of whether or not the word “planet” need be applied to any scientific classification system is also a discussion worth happening (we could, for example, cut the scientists out entirely and culturally say that there are 9 planets just because we say so, and not worry about the science, much like we do with the definition of “continent” here on earth). Many interesting questions to ask. Who decides how such a word is to be used? If it is to be scientific is there any good reason why the IAU should not be making such decisions? If it is not to be scientific, does anyone make those decisions or does society just gradually adopt practices? I’m sure I’ve left out some good ones, or overstated some that are not so good. Comments/debate welcome. Over the coming weeks, I will flesh these out more, and propose my own answers to some of these. I think a pertinent question regarding the cultural aspect is how often these debates will actually happen. Barring a Mars-sized "plutoid" being found in the outskirts of the solar system, I can't think of another likely debate over categorization or nomenclature that would snare the attention of the wider public like the debate over Pluto did. Even when we begin to get a clearer view of other solar systems (exosystems?) containing exoplanets of a myriad types, sizes and orbits, everything is new and the public will likely just accede to the definitions created (and adjusted) by the professionals. Perhaps only once we've discovered begun to confirm potentially habitable exoplanets (i.e. Earth-twins) will there be cause for controversy. At some point we're going to want to start naming planets that we could potentially colonize one day (a long way off), and that's where the public might feel they have a vested interest in the debate. "The big issue is not if categories are perfect, but rather if they are useful for understanding something." I was happy with the IAU 2006 outcome since it created an important category of objects between asteroids and planets. This is a useful teaching tool because educators can explain why this category was needed and created. The claim that the results of the 2006 vote would have been the same if all IAU members had voted is highly questionable. Extrapolating from four percent to the other 96 percent is making quite an assumption. What surveys were conducted of astronomers afterward, and how were samples chosen? What about the fact that almost as many astronomers who voted for the IAU definition signed Dr. Stern's petition saying they will not use it? Or the fact that the resolution placing dwarf planets under the umbrella of planets, even though it failed, received a significant number of votes at the General Assembly? Also, what about the fact that many planetary scientists are not members of the IAU? They are professionals who study planets, and there has to be a way of incorporating their input into this debate. The process of how a decision is reached is as important as that decision itself. For all these reasons, I take issue with your discrediting of those who question the circumstances of the IAU vote as "misinformed about how astronomers think." The IAU dynamic definition is not a "useful teaching tool." It is vague and confusing and, if applied literally, could disqualify all objects in our solar system from being considered planets. 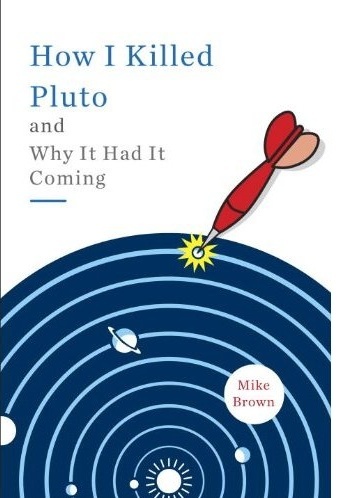 Stating that a dwarf planet is not a planet at all confuses people and makes no sense, which is why in practice, many textbooks and educators are simply adopting the view that dwarf planets are small planets but still planets nonetheless. A far better planet definition would be one that keeps the term planet as broad as possible with multiple subcategories, including secondary planets, which would refer to the moons or satellites of primary planets (those revolving around the sun, that also have attained hydrostatic equilibrium). This usage keeps open the very likely possibility of adding new categories as we discover more and more exoplanets, many different from anything in this solar system. Also, I see no problem in having a larger number of planets (even if in public usage we mean primary planets). Students learn the periodic table of the elements, and no one complains that there are too many, so we should just teach a small number. Finally, the chances are this debate will go on at least through 2015, at which time Dawn and New Horizons will give us much new data about Ceres and Pluto that will likely inform many new classification schemes. If definitions of what is or is not a planet are not easy-to-understand then the general public will be in trouble to adopt those "scientific terms" properly. Maybe normal people will then call all sun orbiters out there with names like "small/dwarf/mid-sized/big/icy/rocky/gas planet/asteroid" according to what they think it is - ignoring whether the IAU has already put an "official" label to it or not. Maybe the definition of overly complicated and time-consuming naming rules will lead to the demotion of the IAU for naming purposes for the general public outside of the realm of professional astronomy and astrophysics. I wonder how many school teachers are now able to explain correctly the difference between plutino, plutoid, planet, dwarf planet, asteroid, TNO, and Pluto itself ? And if they cannot do it, why should we normal people care about the definitions of the IAU ? By the way, the Chinese astronomers call a plutoid a "lei-ming xing-xing" (= class Pluto planet) and the Japanese call it "meiousei-kei tentai" (= Pluto-shaped celestial body). These names explain better than the short English word what is actually meant, so that normal people can immediately understand what it basically is. In stellar classifications, some L dwarfs support hydrogen fusion and some L dwarfs are substellar. One could claim that "L dwarfs" refer to L dwarfs stars. You can pick apart anything if you want to. Is a virus alive? If I take it literally and technically, I could claim there are no planets in the solar system since none of them are spheres and none of them can have their hydrostatic balance properly determined. I think it is useful to teach that there are seven moons in the solar system that are larger than the average object classified as a dwarf planet. This teaches that large secondary planets can form near a star. This is a result of the density regions within a protoplanetary disk getting more scattered as you move out further from the star. If 'dwarf planets' are a subcategory of planets will not change this fact. The concept of a planet is a cultural idea that has changed over the years and has no single perfect answer. It may change again, especially if something close to a real Planet X is discovered. It really comes down to if there will be enough support to overturn the 2006 IAU dynamical definition with another likely imperfect solution. If you declare all spheroids as planets it will just move the borderline objects to the 400-800km range. Most objects with estimated diameters of between 500 and 1500 will be stuck as candidates for one or more lifetimes, ie: look at the history of Ceres. Objects that do not have a moon will be harder to classify simply because we will have a harder time knowing their mass and thus estimating their hydrostatic balance. The largest category of planets would be "candidate planets" for all the potential dwarf planets that are too far away to determine their size properly. But this solution would not be wrong. If we adopted this definition, I wonder if the public would refer to 50+ primary planets (most of which do not have real names) or if they would refer to 8 major planets, or 9, 11, 12, or 14 (based on how many are recognized via their name within our culture.) As more of them got named, more would be discovered. Everyone always seems to use Pluto (that we know very little about) as their example. The Earths moon is a very well known spheroid. What I want to know is, what do most people think when the look up at the moon? Do they think of it as a planet (planetary type body) or do they think of it as lesser since it is subordinate to the more dominate Earth? If "spherical secondary planets" are called planets, as they use to be, will the public care if Miranda is considered a planet? Probably not since Miranda is not part of their elementary school culture. Hopefully, as instrumentation improves, we will be able to flesh out the diversity of these bodies in the outer solar system with imaging that captures the public imagination, and then the definitions will matter much less. Well I think that most people are clearly aware of that the sun is MUCH bigger than our Earth, and that the Moon is smaller than our Earth. And somehow - when speaking of a planet - always the picture of our Earth stays in the background of our imagination, and when speaking of a moon, we somehow compare it to our own Moon and imagine it as something like this. And yes, I think that everything called "moon" is thought to be somewhat lesser than a "planet". Thinking about a senseful classification for celestial objects I would prefer to have a simple size resp. mean diameter classification coming with a logarithmic scale (which we do not use so far), and additionally a simple brightness classification coming also with a logarithmic scale, identical with the absolute magnitude H, or something similar). For the size classification I would like to have a classification based on the dual logarithm and on "meter". So I would call an object with a diameter of more than 1 meter, but less than 2 meters an object of "class 1". An object with a diameter of more than 2 meters "class 2", an object of more than 4 meters "class 3" and so on. Like this we would end up in a solar system with a sun of "size class 30" (= SC30), one planet with SC27, one with SC26, two with SC25, two with SC23 (Earth and Venus), and two with SC22. Eris and Pluto would have SC21. Like this the definition of "planet" would shrink to "body orbiting primarily the sun, with SC22 or larger" (i.e. > 4194 km). A definition by sheer size can be easily explained to the general public. And maybe also a modified brightness scale where higher numbers mean brighter objects, adjusted to the size scale on the basis of a mean albedo, would also help people to understand better specialists talk. Is "body" with mass 20 Jupiters, but with diameter only 100km dwarf star, planet, planetoid, asteroid or what it should be for category!? Brown Dwarfs have a mass of roughly 13 to 75 Jupiters. Masses of 8 to 13 Jupiters are the grey area of planethood. Your object is too massive to be a planet. Your object is so dense and small that it would likely be a stellar remnant. I think that the current system of defining planets does an effective job of keeping the numbers managable and of identifying the most significant objects in the solar system. Whatever way of defining planets is used will have its detractors, and to be honest given the variation in the nature of the planets you could argue that they should scrap the whole system referring to it only for historical purposes, and start afresh especially with the growing number of exoplanets being discovered in order to have a more meaningful classification system. If we were to look at the planets and "dwarf" planets in our solar system you could probably divide them into at least 4 meaningful subcategories based on size, composition and location in the solar system (4 rocky planets, 2 Gas Giants,2 Ice Giants, numerous Ice Dwarfs (Pluto, Eris etc)). Given the significant size of some of the moons it could also be argued that they should be classified as "secondary planets" as in many ways they resemble the planets of the inner solar system. Simarlarly Triton is a captured Dwarf Planet but is not classified as such due to it orbitting Neptune, and it could also be argued that the Earth and Moon are double planets given the large size of the moon relative to Earth. In the Solar System, for the time being, the mass of a (2006 IAU) Dwarf Planet is more comparable to a spherical moon than a planet. I would like to comment to Kevin's post about what people think when they look up at the moon. I see it as a moon simply as a category, but the urge in me that makes me want to get out my telescope and study it's craters comes from an excitement in my head that I am gazing at a new place, a new "world" that I have never explored before. Let me speak in cultural terms as I write and perhaps offer a new perspective... not regarding scientific definitions, but cultural ones. I would like to introduce the idea that perhaps the planet debate has something to do with a certain value that society prescribes to things that are familiar to them. Maybe, as something becomes more familiar scientifically, the masses embrace it more, culturally. Yes, we know little about Pluto, but Pluto is a cartoon character. When people (prior to 2006) hear the name "Pluto", they think of either Disney, the ninth planet, or a major Greek god, forget about the fact that we don't even have an clear image of its surface features. Pluto has cultural value in this way. This is probably because it has been roped together with the (other) eight planets, which we know much more about, for 75 years. As a matter of fact, the (other) eight planets have cultural value as well. Roman gods, candy bars (Mars), American car companies (Saturn and Mercury), commercial brand razors for women (Venus), Mozart symphonies (Jupiter)... the list goes on. What I am saying is: I believe there is a social correlation between our knowledge of these planets (in scientific terms) and their familiarity to society. Once we learn more about Eris and Ceres (and finally acquire decent images of Ceres) these unfamiliar dwarf objects will suddenly be seen in a different light and we will ascribe new meaning to them somehow, despite their scientific nomenclature. May I offer a word for spheroids that have some kind of cultural value as "worlds", a term that David mentioned earlier. The eight planets are "worlds"--places that we can imagine in our heads that are different from our own and thus, are exciting to explore. The Moon is a "world". Europa and Titan, with media headlines that report the potential for life and images from Galileo and Cassini are becoming new "worlds" to us. They may not be planets, but in the eyes of society, who cares if they are planets, moons, dwarf planets or black holes, they are becoming more familiar to us as we learn more about them. And perhaps one day they will become cartoon characters and candy bars as well. That is cultural value. I see that 2005 FY9 now has the official name of MakeMake. Congratulations! I like the name since it is easy to remember and spell. :-) Do you have any pictures of Makemake that we can see and perhaps add to wikipedia now that it has a real name? It is currently brighter than Eris after all. "The appropriate body would be the International Astronomical Union (IAU)"
How is this so? Most astronomers do not study planets. A plenary session at the LPSC would make far more sense. After all, most planetary scientists who do geochemistry work on material from the Moon, Mars, or Vesta- only one of which is a planet.